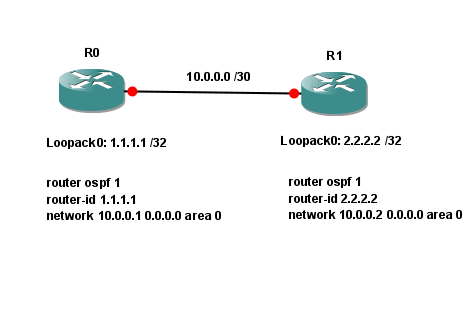 Many of you already know that usually when you advertise a Loopback interface into OSPF it is advertised with /32 netmask (one IP address) even if the IP address under Loopback interface is with a /24 netmask. If you checked my previous post, you’ll see at the end that I’m right, and the Lo0 address is advertised with /32 netmask. 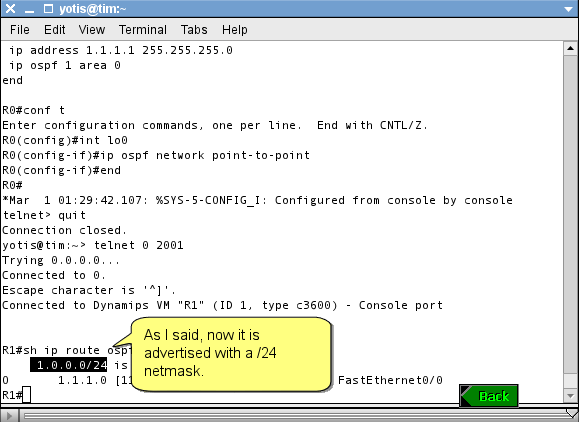 But what if you have to advertised as a /24 subnet (task require or some testing) ? There is “dirty little trick” to do it. I will use the same topology and design like in the post before. If you do no have the topology please download it here. Kindly suggest some websites for studying Routing & Switching.